Join us this year during Red Ribbon Week as we say BOO! to drugs with our inaugural Family Fun Costume Run! This 1 mile run is for the whole family! 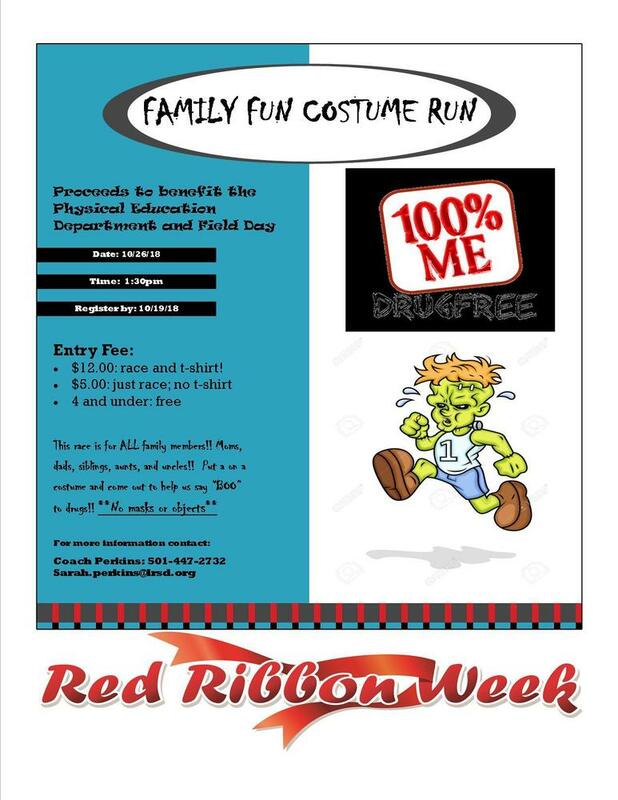 Grab a costume and come help us celebrate being Drug Free!!! Flyer and registration forms are being sent home this week. All forms and payments are due October 18th! Race will be held on Friday, October 26th at 1:30pm. Contact Coach Perkins with any questions!